Residential treatment – Residential treatment involves living at a treatment facility while undergoing intensive treatment during the day. Residential treatment normally lasts from 30-90 days. Partial hospitalization – Partial hospitalization is for people who require ongoing medical monitoring but have a stable living situation. These treatment programs usually meet at the hospital for 3-5 days a week, 4-6 hours per day. Intensive outpatient program (IOP) – Not a live-in treatment program, but it still requires a major time commitment. Intensive outpatient programs usually meet at least 3 days a week for 2-4 hours a day or more. The major focus is relapse prevention. 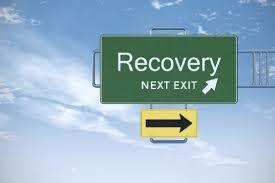 These outpatient programs are often scheduled around work or school. Counseling (Individual, Group, or Family) – Works best in conjunction with other types of treatment or as follow-up support. Therapy can help you identify the root causes of your drug use, repair your relationships, and learn healthier coping skills. 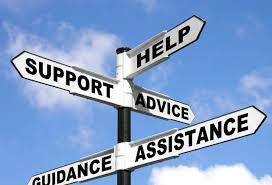 Sober living – Normally follows intensive treatment like residential treatment. You live with other recovering addicts in a supportive drug-free environment. Sober living facilities are useful if you have nowhere to go or you’re worried that returning home too soon will lead to relapse. Brief intervention – Only appropriate for those at risk for drug abuse or drug addiction, not those who have already developed a serious problem. Consists of several visits to a healthcare professional to discuss the harmful effects of drug abuse and strategies for cutting back. Call us now to determine which types of Alcohol and Drug Treatment Programs are best suited to you. This is your life at stake. Choosing the right program for you is what we do everyday. It's time to find our what type of treatment rehab is right for you. The road to recovery begins with asking for help. No one can take that step for you. As you read through this site, be honest with yourself and your family about needing help. Day after day, you hurt. Your family hurts. All you have to do is pick up the phone and call our team and we will hold your hand as you begin the road to recovery. Call now 1- 800-931-8773. Do not wait another minute.... Do not wait another second....Alcoholism and Drug Addiction is a life threatening disease and requires immediate attention. Depending on the condition, this may require special care. Our team will guide you through the process. Call now 1-877-503-0791. Assessment – generally fully covered. Detoxification – generally mostly covered, but rapid detox and ultra-rapid detox tend to not be covered. Outpatient treatment – generally mostly covered. Inpatient (residential) treatment – generally partially covered. Our expert team at American Treatment Services know what it is like to be where you are right now! In just a few short minutes, you can be receiving the help to changing your life. We believe you are worth it…take that first step and call today!